When an AutoZone investigator approached Chris Polston, asking for his help investigating a theft, Mr. Polston was happy to oblige. He was 20, had worked for AutoZone all through high school in Maryland, and, after graduation, moved to take a job with the chain in Houston.He and his wife had a child on the way, and he thought that AutoZone, the car parts retailer, could be a place to build a career. That morning in 2010, it all came undone. According to an account of the day given by Mr. Polston in interviews and in a civil suit against AutoZone, Conrad Castillo, an AutoZone investigator, sat him down in the store’s overstock room between a cinder-block wall and a row of batteries. At first, he said, the investigator was friendly, making small talk about the joys of fatherhood. “He was talking to me as if we’d known each other for 10 years and we were at a barbecue,” Mr. Polston said. After about two hours, Mr. Castillo said he was going to have to call the authorities. Mr. Polston watched him go to a corner of the store and make a call on his cellphone. When Mr. Castillo returned, he asked Mr. Polston if he had anything to add. Suddenly, the interrogation was over. Mr. Castillo took Mr. Polston’s keys and escorted him from the store. The next day, he was fired for theft of the candy and soda. Stolen auto parts were not mentioned. AutoZone is the country’s largest auto-parts retailer, with about 5,000 stores in the United States and Mexico and more than $9 billion in annual sales. A public company with a share price that has more than tripled in the last five years, it has more than 70,000 workers, and every year some steal money or inventory. Losses from employee theft cost American retailers $16 billion a year, according to the National Retail Security Survey. That number is almost half the amount lost to shoplifting, and the problem can be very hard to stop. “Once an employee is hired, they have keys and access codes,” said Richard C. Hollinger, a professor of criminology and law at the University of Florida, who compiled the survey. “They’re very hard to deter and very hard to catch.” Sometimes, he said, there is hard evidence, like a video, but that is rare. “Mostly what you have is a cash register that’s a couple hundred dollars short and a couple of people who might be suspects,” he said. And what is to be done with those suspects? Increasingly over the last 20 years, retailers have turned to internal investigations, often using investigators trained in the same interview and interrogation methods as the police. Their job is to ferret out employee thieves and get them to confess. “An admission makes the case much, much stronger,” Mr. Hollinger said. But as retailers have used the same methods as the police, they have come under criticism for some of the same unintended results: false confessions. Retailers don’t think this is a big problem. “Is there a prevalence of false confessions in retail? I’d have to say no,” said Rich Mellor, a recently retired vice president for loss prevention at the National Retail Federation. Loss-prevention people, he said, know that coercion can cost them their jobs and lead to expensive lawsuits. Because retailers are reluctant to talk to the press, he added, the public generally gets only the former employee’s side of the story, meaning that a lot of cases that seem to be false confessions may not be. AutoZone did not reply to requests for comment, but lawsuits filed since 2000 have opened a window into how its loss-prevention department operates. Sean Simpson and Charles Moore of the Simpson law firm in San Diego have represented 10 former AutoZone employees, including Mr. Polston, in lawsuits against the company. The first was filed in 2001 by Joaquin Robles, an AutoZone employee in San Diego who had helped put store deposits into an armored truck. One day, when the truck arrived at the bank, $820 was missing, and Octavio Jara, a loss-prevention investigator, was sent to speak with him. According to Mr. Robles’s subsequent testimony, Mr. Jara questioned him for nearly three hours, accusing him of stealing the money and telling him that if he would confess, he could keep his job. Otherwise, Mr. Jara would have to call the police. Eventually, Mr. Robles signed a confession, apologizing for taking the money, which he said he needed to pay family debts. In July 2000, AutoZone fired him, recovering the stolen money from his last paycheck. Two weeks later, the bank found the money. It had been misplaced, not stolen. This did not, however, win Mr. Robles his job back. Mr. Robles sued AutoZone and Mr. Jara, contending that he had been falsely imprisoned by being detained by his employers. Mr. Simpson and Mr. Moore presented three former AutoZone employees who testified that Mr. Jara had done the same thing to them. (Mr. Jara did not respond to repeated requests for comment.) In a subsequent trial over punitive damages, the lawyers turned to AutoZone’s internal loss-prevention manual to argue that the tactics Mr. Jara had used on Mr. Robles simply followed company policy. The manual, which the company stopped using after the Robles trial, laid out a script for the standard interview. After taking the suspect to an isolated place and making sure that the conversation wasn’t being recorded, the investigator would make small talk to build rapport. Then he or she would ask questions, like whether the suspect thought that a theft had occurred. An employee who answered, “Yes, it was probably stolen,” was considered more likely to be innocent than one who said, “No, I’m sure it was a mistake.” An employee who slouched in a seat was considered likely to be hiding something. If the employee was deemed guilty, the manual instructed the investigator to get an admission. First, the investigator would tell the employee that AutoZone knows that he or she is guilty, brushing aside any denials. To make the case appear solid, the manual encouraged using props like “bulging files” or videocassettes. The interrogation system prescribed in AutoZone’s former manual closely follows the dominant methods used throughout the retail industry, as well as by police departments across the country. It is based on the Reid Technique, which was invented in the 1930s by Fred E. Inbau, a Northwestern University law professor, and John E. Reid, a Chicago police officer and forensics tinkerer. In 1947, Mr. Reid went into business as a private contractor, selling his services as a professional investigator to police departments across the country and teaching his method. 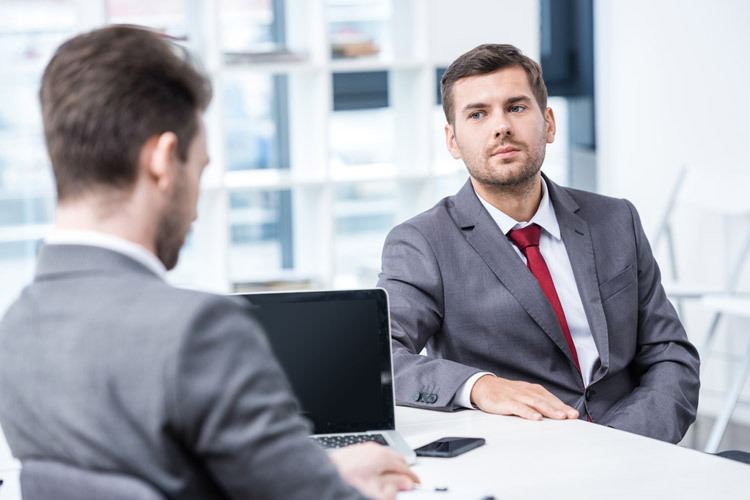 In the early 1980s, two Reid investigators, Douglas E. Wicklander and David E. Zulawski, formed a company to teach the method to the private sector, where their classes are now the industry standard for interview and interrogation training. Today, Wicklander-Zulawski & Associates, according to its website, provides training to many major American retailers. Several clients that Wicklander lists, including Walmart, United Parcel Service and Costco, are defending against false-confession litigation. (Wicklander-Zulawski, which did not respond to requests for comment, is not a defendant in any of the suits, and it could not be determined what services the company provided these clients or when they were provided.) In addition, class-action lawsuits were filed recently against Home Depot and Macy’s, accusing them of using their loss-prevention departments to coerce confessions from customers suspected of shoplifting. Almost since the Reid method was invented, psychologists and lawyers have feared that, if misused, it could prompt innocent people to confess. In 1966, the Supreme Court, looking at an earlier version of the Reid manual in Miranda v. Arizona, concluded that police interrogations existed only “to subjugate the individual to the will of his examiner.” Without legal protections, the court ruled, no statement could be viewed as made by free choice. These protections, which would become known as the Miranda rights, require the police to remind suspects that they have the right to remain silent and to have a lawyer present. Despite the Miranda rights, evidence has mounted in the last 20 years that false confessions are more common than one might expect. And the Miranda rights apply only to criminal investigations, not to internal corporate investigations. At trial in San Diego County Superior Court, AutoZone did not contend that Mr. Robles’s confession was true. Instead, the company’s lawyer asserted that Mr. Robles could have left the interview whenever he wanted: Mr. Jara had interviewed him at work, with the door open. The jurors agreed. In 2006, they found that AutoZone and Mr. Jara had falsely imprisoned Mr. Robles and used fraud to make him confess. They awarded him $7.5 million; AutoZone appealed, and the damages were reduced to less than $700,000. After that, Mr. Simpson and Mr. Moore took more cases representing former AutoZone employees who contended that they had been forced into false confessions. Three ended in judgments in the plaintiff’s favor, although AutoZone appealed all of them; two of the appeals are pending but a California appellate court upheld the other judgment against AutoZone last month. In another case, Gomez et al. v. AutoZone, a San Diego County jury found that Mr. Jara had used fraud to get confessions from three employees, but the jury did not award damages. The lawyers have three additional suits in progress against AutoZone, including Mr. Polston’s. In a 2008 deposition for Gomez v. AutoZone, Elizabeth Rabun, head of AutoZone’s loss-prevention office, testified that her department conducted 2,000 to 3,000 loss-prevention interviews a year. Every loss is investigated, she testified, and virtually every investigation involves an interview. While employees who confess are normally fired, she said the company does not threaten to call the police. “We do not use coercion,” she said. Mr. Moore said that means that at AutoZone, “It’s still the Wild West.” Part of the problem, he said, is that once the investigator gets a confession, the investigation generally stops. In Mr. Polston’s case, the store manager later testified that he had given Mr. Polston the candy bar and soda he was fired for stealing. But Mr. Castillo testified that he never talked to the manager. Mr. Simpson asked Ms. Rabun in a deposition why Mr. Polston had been interviewed at all — in Texas, workers can be fired without cause, which means that if AutoZone suspected Mr. Polston of theft, it could have fired him without an interview. Mr. Moore offers a darker motive, suggesting that AutoZone managers have at times used loss prevention to get confessions from employees it wants to fire for other reasons. In 2010, Mr. Moore and Lawrance A. Bohm, a Sacramento lawyer, won a suit on behalf of Travis Kell, who, after reporting his manager to human resources, accusing the manager of making racist remarks, received a visit from Mr. Jara. According to the lawsuit, the investigator pressed Mr. Kell to admit to falsifying an internal audit. After Mr. Kell admitted only to rushing the audit, he was fired for what AutoZone termed falsification of documents. At trial, Mr. Moore and Mr. Bohm presented evidence that another loss-prevention manager had falsified the audit to frame Mr. Kell. The jury awarded Mr. Kell $1.4 million in punitive damages. The verdict was upheld, with reduced damages, in California appellate court last month. His lawsuit is scheduled to go to trial in July in Harris County District Court in Houston, where he is seeking $300,000 to $400,000 in compensatory and punitive damages. But he says he is not concerned about winning money from AutoZone. He has a good job now, doing collision repair for BMW. What he wants is more subtle, something that he says he was denied by his interrogator.